Here we have two fantastic Buzz Aldrin autographs. Buzz Aldrin was an Apollo 11 crew member during the first mission to land on the moon, and walked on the moon with Neil Armstrong during this historical event. 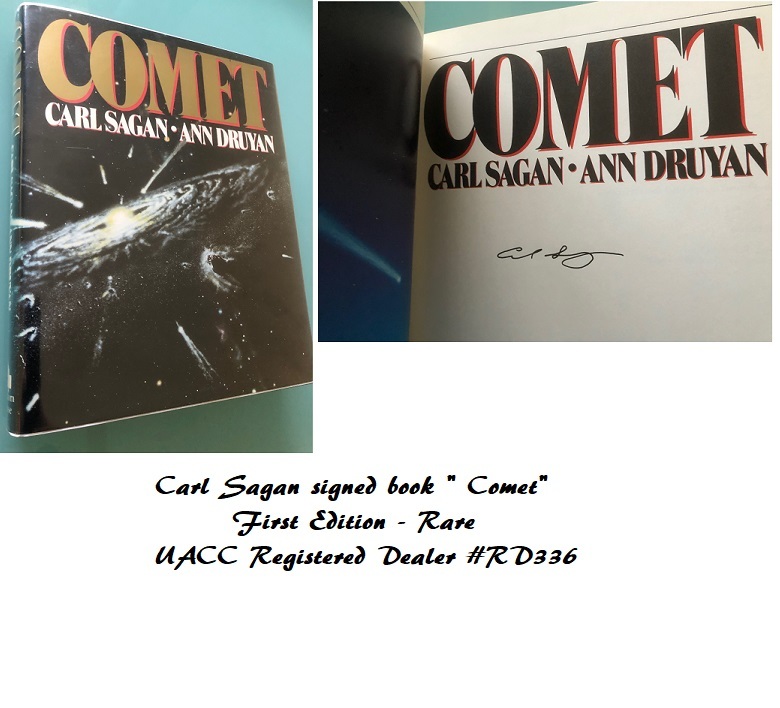 One Buzz Aldrin signature is on the Moon plaque (lower right), which is a VERY limited edition replica of the original which went to the moon. The second Buzz Aldrin signature is on an awesome signed photograph of Buzz Aldrin on the Moon. Has added the immortal words,"We Came in Peace for all Mankind". A beautiful and very rare collection. A guaranteed investment piece, as the autographs will get more and more sought after in the years ahead. Both items have the immortal words : "We Came in Peace for all Mankind" !!! 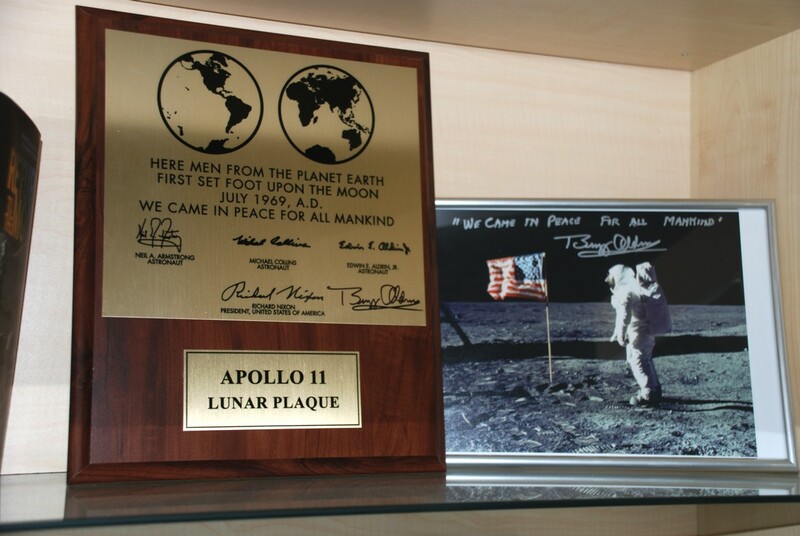 Notify me of updates to Apollo 11 Buzz Aldrin Signed Plaque & Photo "We Came in Peace"